The exhibition and event program marks the 10th anniversary of L'appartement 22 in Rabat, Morocco. The exhibition and program JF_JH Libertés marks the 10th anniversary of L'appartement 22 in Rabat, Morocco. 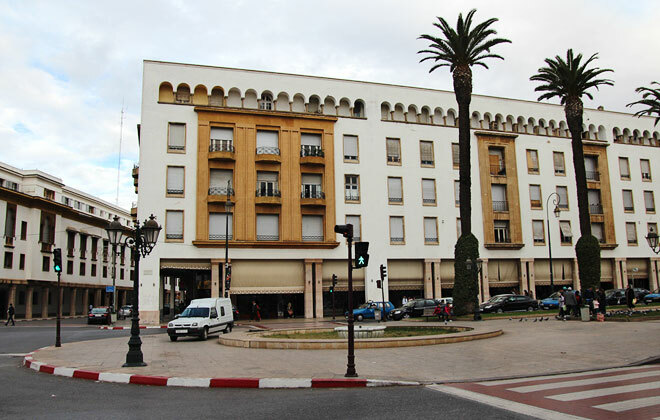 Established in October 2002 by Abdellah Karroum, L'appartement 22 is an independent art space located in the heart of Rabat in a building from the 1920s facing the Moroccan Parliament. Freedom of thought, of believes, of convictions… it is no coincidence that the exhibition marking 10 years of activities has the title JF_JH Libertés. It follows and rounds-up the series of projects which started with the very first show at the space JF_JH individualités (Young Women_Young Men, Individualities), with works by Safaa Erruas and Younès Rahmoun. The approach behind these collaborations addressing the complexity of the relationship between men and women in Morocco was continued in other exhibitions: JF_JH Cohabitation, JF_JH Agreements, and JF_JH Complicity. JF_JH Libertés involves several of the artists, curators, and art professionals who have made possible the existence of the space during these years. Questioning and experimenting on the idea of freedom, in view of the society's development in an era of relative distances and homelands, it features works by Mustapha Akrim, Ismail Bahri, Touda Bouanani, Gabriella Ciancimino, Badr El Hammami, Fadma Kaddouri, Bernard Plossu, Catherine Poncin, Karim Rafi, and Younès Rahmoun, offering also a program of meetings and discussions, some of them broadcasted through radioapartment22, a web radio station that complements L'appartement 22's activities since 2007. On November 8th, 2012, under the artistic direction of Abdellah Karroum, a constellation of artists and curators, several of them associated to L'appartement 22, launched the 2nd Biennale Bénin with the overall theme of "Inventing the World: The Artist as Citizen." At the headquarters in Rabat, as part of JF_JH Libertés, an inscription on the wall sums up a maxim of L'appartement 22's activities of the last decade, which also reads as a demand (more than a hope) for the country's future: Freedom of thought, opinion and expression are guaranteed in all their forms. It is a work by Mustapha Akrim, who has carved the article Nr 25 of Morocco's new constitution directly on the wall facing the Parliament. Working for Change. UiU Special about the 54th Venice Biennial, 2011. Independent space for art and encounters in Rabat, Morocco. Interview with Abdellah Karroum. Project for the Moroccan Pavilion. A group of participants. Curator: Abdellah Karroum. Spazio Punch - Ex Birrerie, Giudecca, and different places in Morocco.